Used Kia Stonic Review - 2017-present | What Car? 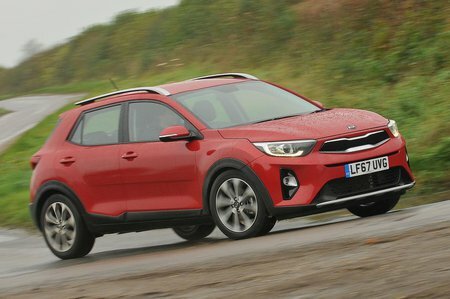 What's the used Kia Stonic estate like? Kia has been on a bit of a roll of late, offering practical and well-made family cars like the Ceed and more aspirational options like the Stinger. But it’s cars such as the Stonic that need to do well in the growing small-SUV market. Trouble is, the pool of used cars already includes the likes of the class-leading Seat Arona and practical Renault Captur, so how does the Stonic stack up? On first glance, the Stonic appears to give its rivals a decent run for their money because even though the Stonic 2 is the entry-level model, it isn’t what you’d describe as spartan. The only thing missing is sat-nav, but because both Apple CarPlay and Android Auto are standard, you can use your phone for navigation instead to get around this. The interior itself is well screwed together and all the controls are logically laid out. There isn’t a soft-touch surface in sight, but this is the case with most small SUVs. If you want a luxurious interior, you’ll need to spend a lot more on an Audi Q2 or BMW X1. Space up front is perfectly acceptable and the adjustable central armrest is a nice touch. Taller children and adults will find the back to be a squeeze, and the Stonic doesn’t have a clever sliding rear bench like the Renault Captur to improve available space. The Stonic also trails the class best for luggage capacity, and you’ll have to step up to top 4 or First Edition versions to find an adjustable boot floor; otherwise, you’ll have to put up with a significant load lip to lift things over. The engine range consists of three choices: a fairly slow 98bhp 1.4-litre petrol, a thrummy but ultimately more impressive 118bhp 1.0-litre petrol and a clattery 114bhp 1.6-litre diesel. 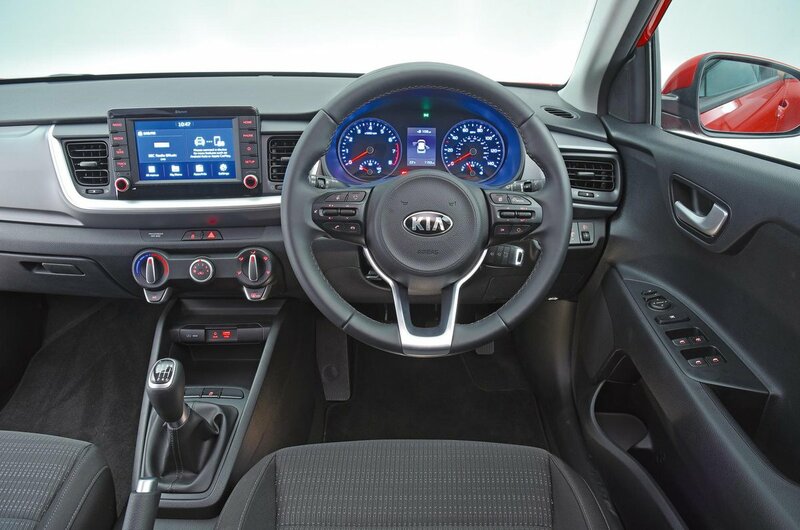 All versions come as standard with a relatively slick six-speed manual gearbox, but you can also have a seven-speed automatic with the 1.0-litre petrol. As far as handling goes, the Stonic is up there with the best in the class in terms of nimbleness because it doesn’t roll all that much in the corners, and any surprise bumps that might appear mid-corner don’t upset the Stonic’s composure. The steering isn’t the last word in communication, but it is perfectly precise and well weighted, so you don’t end up sawing away at the wheel in the bends because you can’t figure out how much steering lock to use. However, the Seat Arona is nicer still to drive and it also manages to offer a more comfortable ride. The Stonic tends to fidget quite a lot over even relatively smooth surfaces no matter what speed you’re doing. This can be a little annoying on longer journeys and, when combined with the road and wind noise, means the Stonic isn’t the best motorway companion.